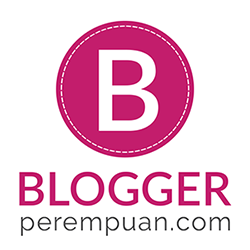 I was invited to a blogger gathering with Marina Body Lotion and Dream.co.id few weeks ago. The gathering was quite fun since there are two guest speakers along with Marina representative. They're Linda Kayzh (beauty vlogger) and Chef Luvita (first winner of Master Chef Indonesia 4). The gathering is also fun and educative; Chef Luvita even demonstrated mini cooking session using Marina's ingredients; oats and lemon. The gathering also emphasize the importance of choosing Halal ingredients for beauty products. Marina uses only Halal ingredients since it utilizes natural ingredients derived from plant-based extracts. Weeks after using Marina UV White Bright & Fresh and Marina Natural Nutri Fresh, now I can safely share with you about its effectiveness. It's like being trapped between two worlds, you know? I spend a lot of time under the sun (commuting back and forth, lunch time, meeting, etc.) While I am also seated for most of my day in the air-conditioned room at my office. Of course, those two contradictory situations need different remedies to treat them. For sun protection, I need lightweight body lotion enriched with sun protection. Additionally, I need extra moisture and nutrients to feed my dry skin. For the past 2-3 weeks, I've been using this lotion to start my day. 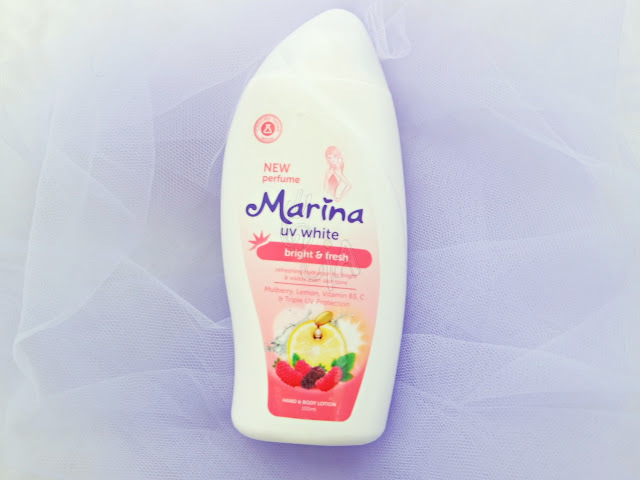 Marina UV White Bright & Fresh Hand & Body Lotion aims to make skin looks evenly brighter and fresher. It has Biowhitening Complex combines with Vitamin B3 & E, Mulberry, Licorice, and Lemon in order to get smoother, brighter skin. It also enriched with Vitamin C as an antioxidant to nourish the skin in order to get better, healthier skin. The most important feature is Triple UV Protection which can protect our skin from the damage caused by UVA and UVB rays. And remember, even if you're staying indoor, you're still prone to be exposed to UVA and UVB rays from various sources other than sun (e.g. halogen, incandescent, and fluorescent bulbs). The formula also has cooling sensation which is perfect as we're living under constant sunshine everyday. It is also clinically tested by the dermatologist to get evenly fairer skin. I love the texture, it's super light and absorbs fast into my skin. The scent is fresh yet subtle enough for everyday use. I usually apply the lotion all over my body 30 minutes before commuting to work. Most of the time, I avoid thigh area because somehow that area was the fastest one to become sweaty. But when I tried to apply this lotion there, it doesn't leave the area sticky, thus making me more comfortable. The result is not significantly visible, but I feel that my skin is more supple and since it doesn't leave my skin to become sticky, I just looove it. The packaging is also nice, I have the 100ml size and it fits perfectly on my palm. It's also easy to be brought everywhere. Plus point for the packaging and design! If the previous one is for daily protection, this Marina Natural Nutri Fresh Hand & Body Lotion is your best friend at night and indoor! It has dual active nutrition which help to treat the skin so that it stays healthy and fresh. What's interesting in this lotion is the natural ingredients inside; oat. Yes, that oat that we're eating, the one which is popular as one of the healthiest foods in the world. Natural Nutri Active Benefit will nourish the skin by using the dual action of oat. Because who knows that oat is actually a natural moisturizer for our skin? Yep, it is healthy to be eaten and to nourish your skin, super love! It also has that tiny, green particle inside which turns out to be Vitamin E particles. It helps to protect the skin from cell damage caused by free radicals. One more good news is that it has special formula Double Nutrient Effect to active nourish and treat the skin even into the epidermis (the deepest layer of our skin). Compared with the UV Protection one that I've reviewed previously, this one has creamier texture. But no need to be worried because it is still considered to be lightweight by me. Most of the time, night or any lotion for dry skin usually leave my skin too sticky and uncomfortable. But this one is nice since it is also fastly absorbed by my skin. I can even safely use this lotion at office (you know the air conditioner is just too much sometimes) and at night before sleep. In the morning, my skin feels refreshed and supple without leaving me feeling sticky because of the lotion residue. The green particle is also a unique selling point for me, it's just cute I think. And it dissolves completely when you apply the lotion onto the skin. I personally love Marina Natural Nutri Fresh better than UV White Bright & Fresh. It moisturizes my skin better while having sweeter, feminine scent that I love. It helps me feeling calmer and soothe my skin even better. Moreover, it contains oat which is a natural ingredients that I'm already familiar with everyday. 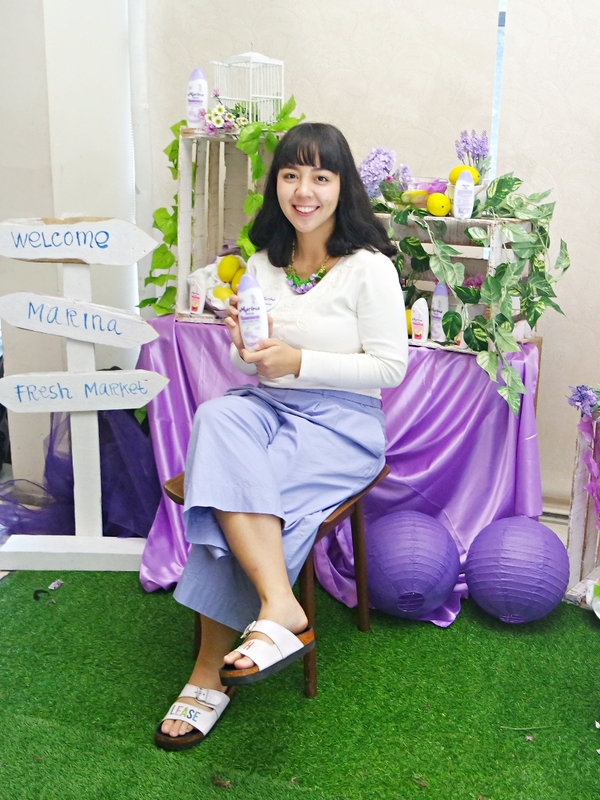 Overall, I give my two thumbs up for Marina UV White Bright & Fresh and Marina Natural Nutri Fresh. It acccomodates my skin needs while being so easy to be carried on everyday and doesn't cause me any discomfort (sticky). And as you already know, Marina is well known for being so affordable yet still delivering the best quality product for women. Last but not least, Marina products are Halal since they use only plant-based ingredients for their products. So, what are you waiting for, give Marina UV White Bright & Fresh anduv Marina Natural Nutri Fresh a try and you'll be blessed with evenly fairer, supple skin.